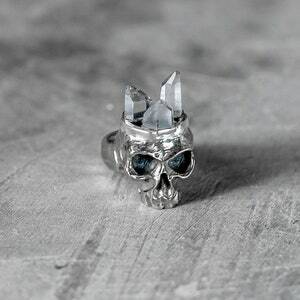 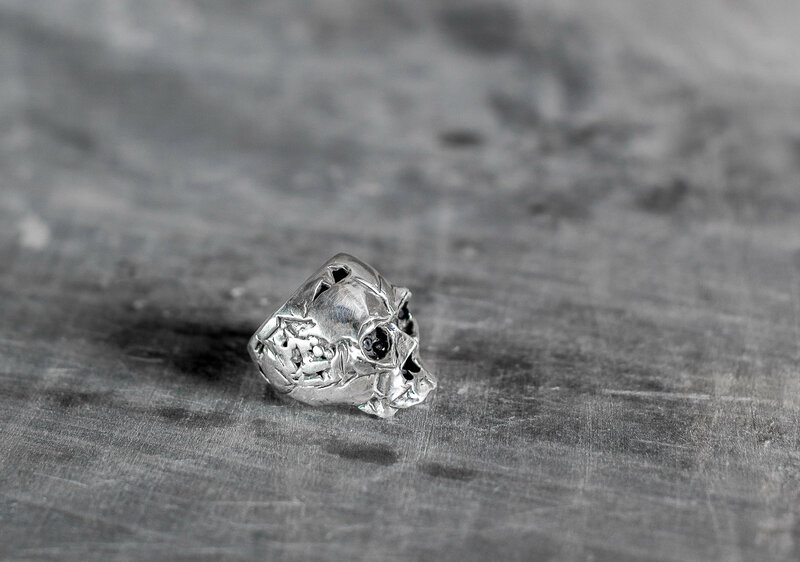 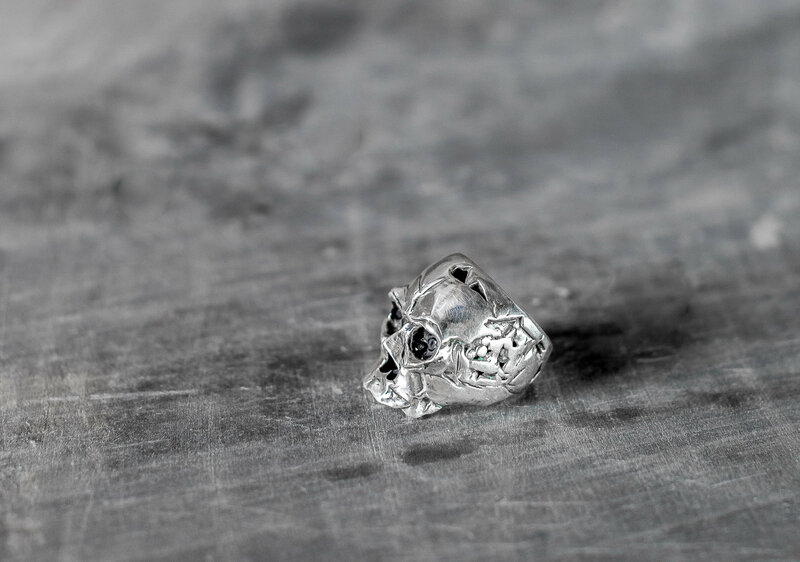 This is the parent ring to the Dark Souls Skull ring - you're upping your game with this piece, as we have included black diamond clusters within each eye socket. 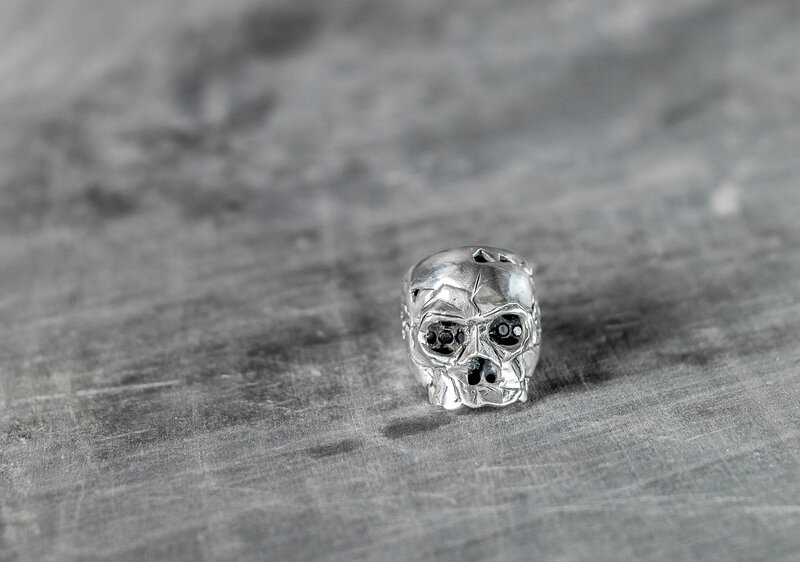 Positively perfect and deliciously dark - this epicene skull ring is your new everyday underground accoutrement. 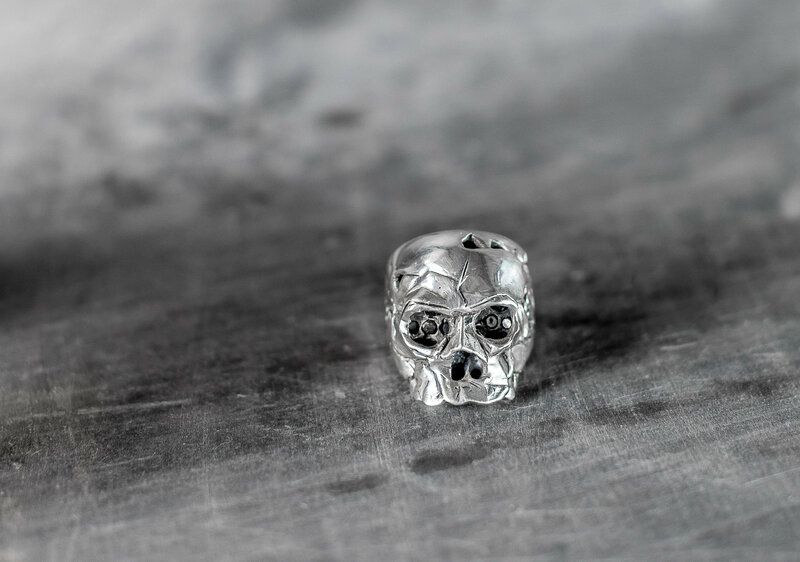 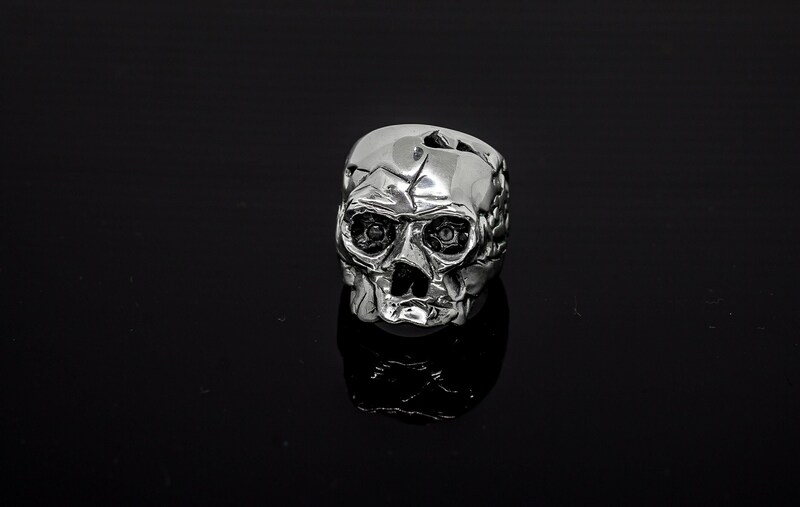 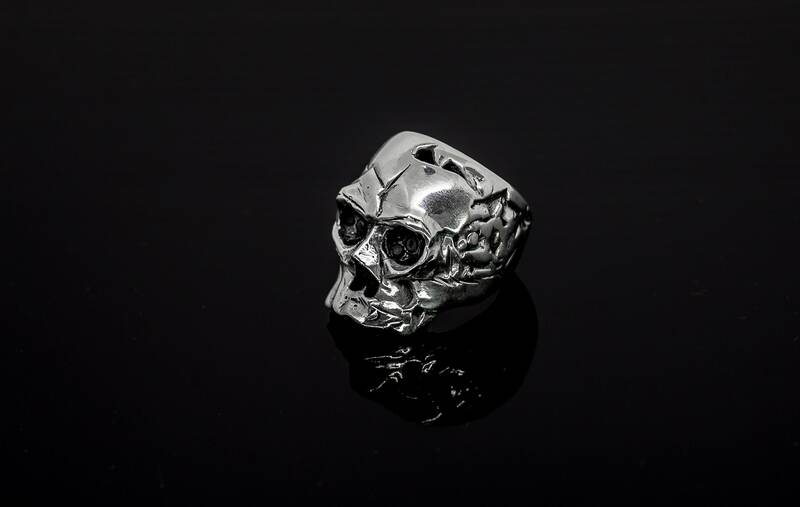 Made by hand from 925 silver, this skull is designed to be both bad a** and truly elegant. 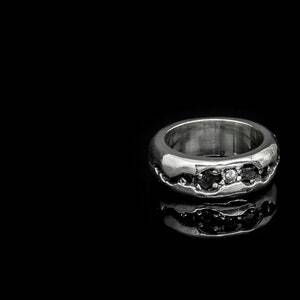 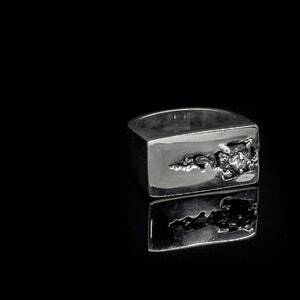 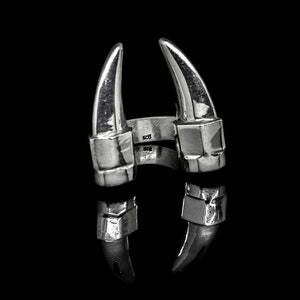 The grown up version of a classic biker ring with a JT cyberpunk twist. 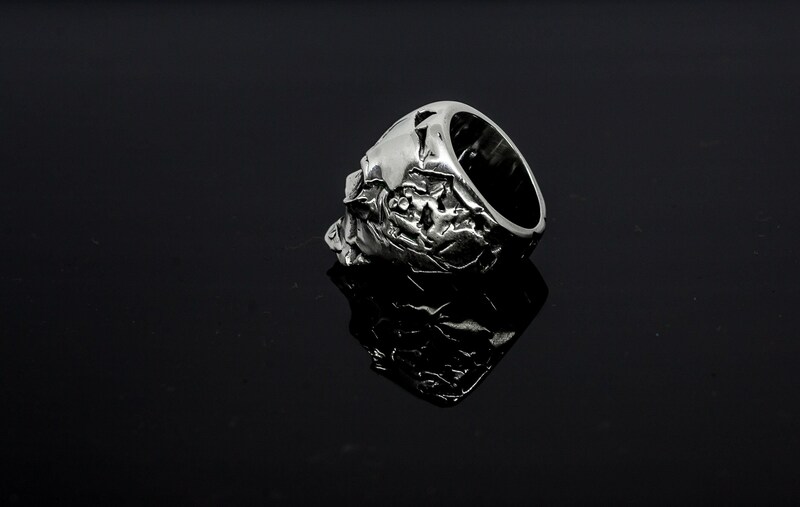 If you need a size not listed ( perhaps a half size ) please let us know and we will make that for you !